The hotel that we lived in provided pick up services to the night market every Friday-Sunday night at 7pm. The night market only operates every Friday to Sunday. That place is one of the MUST VISIT spot when you're in Krabi because they have varieties of food and with super affordable price. Manage to surf the net while waiting for the driver. 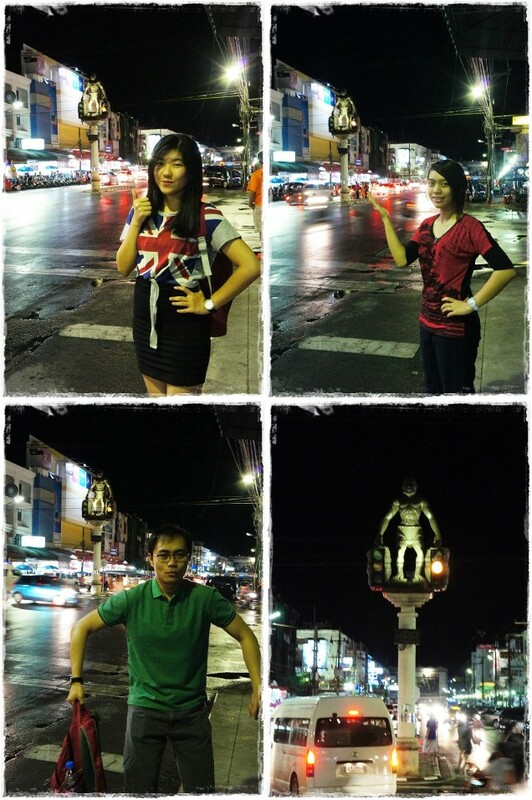 Maharat Road in Krabi Town. Look at the unique traffic light. Super cheap! 6 for 100 baht only. Coconut for RM2 only. Food paradise. I forgot to take my food picture. I had chicken wings and satay. Can't get enough of it. Starbucks/Coffee Bean green tea frap. I want to live in Krabi forever and drink this everyday. Mini pineapples are so adorable. Cheap accessories. RM 2 each. I really don't know how to describe my feelings for this post. I was so excited that I forgot to take pictures of everything. That shows how fun it was. I was surrounded by FOOD all over the place and it was so tempting. Overall I enjoyed very much for my Day 1 in Krabi. Don't just read my blog and fantasizing of going there. Go visit Airasia now and book yourself a flight ticket to Krabi and enjoy the view yourself! Next post - James Bond Island. у нас на этом веб-сайте подобран огромный ассортимент [url=http://www.filmkpktut.ru/]телефонов бесплатно[/url].